Most of us look at a pile of scrap metal and see only that, bits and pieces of old cars, rusted farm implements, nuts and bolts, trash. There are those in this world that look at those same items and create a vision in their mind's eye, sculpture from what others view as garbage. 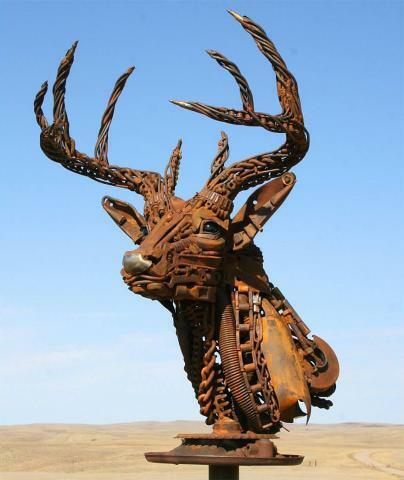 John Lopez from South Dakota can take pieces and parts from the things that many would trash and create beautiful works of art. 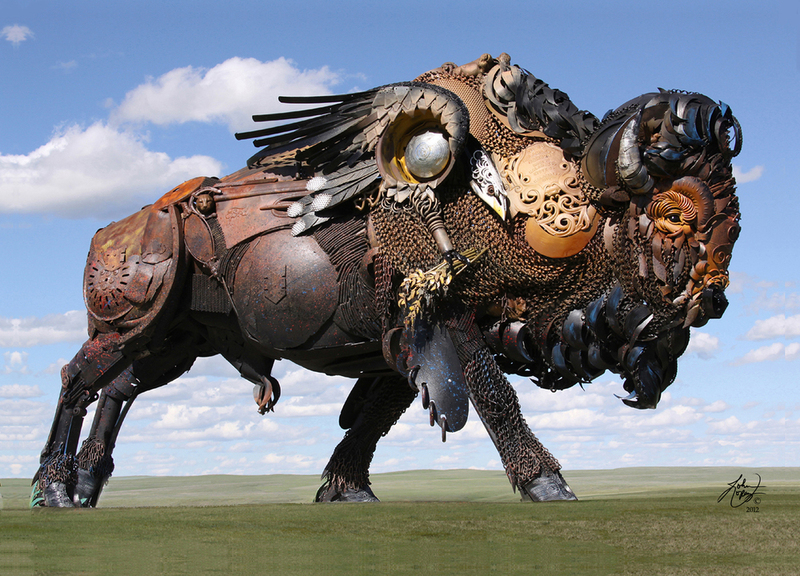 From bison to cowboys and dinosaurs to wildlife like bear and deer, John's sculptures are something to behold. 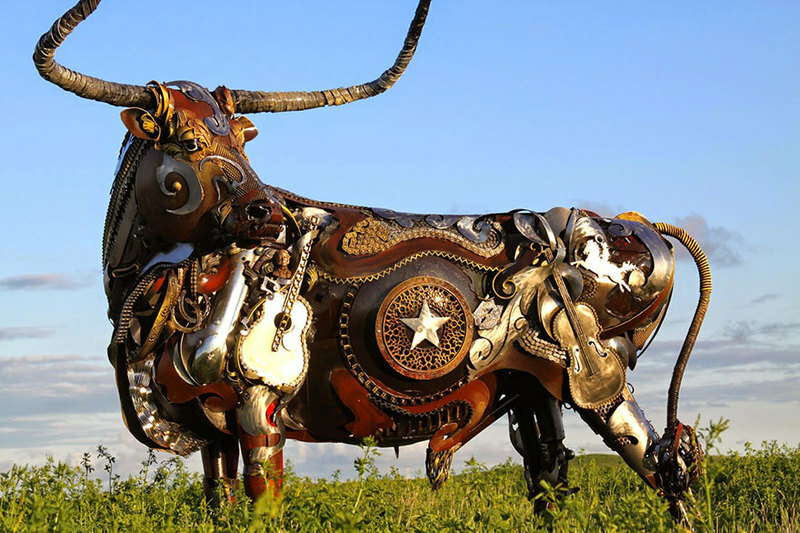 His sculptures are layer upon layer of found objects including farm implements, guitars, nuts and bolts, tools, chains, sheet metal and anything that catches his eye. Sculptures can take months to weld together. His website homepage is a showcase of some of his spectacular works of art. Included on the page is a map of where some of his sculptures are on public display, including his more traditional life-sized statues of President John F. Kennedy and his son John, Jr. and 11 other presidents in The City of President's project in Rapid City, SD. On the website, be sure to click on the photos to not only see more but to learn more. More than one has the story of how his sculptures came to be with a little history that is the basis for the piece. Just think, if more of us had John's vision, we could reduce those piles of junk no one wants to see to works of art everyone can enjoy.